Changes to KiwiSaver reflect how HorizonPoll research - and listening to New Zealanders - has helped inform the debate. This time, it's been results exposing the gaps between current income and what's needed to live comfortably in retirement; support for changes to the scheme to ensure it embraces more people and delivers higher incomes in retirement. The research by Horizon, commissioned by the Financial Services Council (FSC), is now firmly being used to inform the debate over New Zealanders' financial futures, including possible tax reform. reducing the maximum contributions holiday that people can take from the scheme from five years to one year. 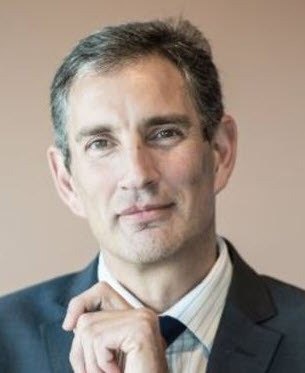 "These changes are positive and if passed will significantly strengthen KiwiSaver and support its continued growth", said FSC CEO, Richard Klipin (pictured). "The FSC, industry, the Commission for Financial Capability, and many other have been lobbying hard for these changes to happen and the Government is to be applauded for listening to this and acting. "It is also heartening that the National Party has indicated that it will support the Bill." Mr Klipin says the proposed changes are supported by three major pieces of research that FSC has recently undertaken looking at New Zealanders views on KiwiSaver. The first ‘Growing the KiwiSaver Pie’ showed overwhelming public support for boosting the scheme and improving Kiwis access to it. The second ‘Great (unmet) Expectations’ found that older New Zealanders face a significant weekly income shortfall in retirement. 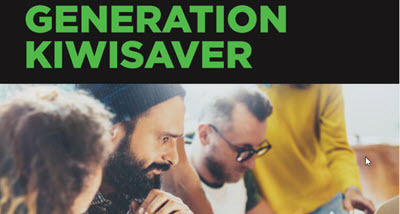 The third ‘Generation KiwiSaver’ found that under 35s will be reliant on KiwiSaver as their main source of retirement income. Says Mr Klipin: "The consistent message across all three pieces of research though was clear public support for strengthening KiwiSaver and a call for Government and industry to do more. "As KiwiSaver enters its eleventh year and becomes an increasingly important part of all New Zealanders retirement planning it is essential that the scheme continues to evolve and improve. "The changes in the Bill do just that and are a positive step forward. The Government is to be commended for progressing them and although there is more work to do they are a great start", concluded Mr Klipin. What else may be in store? The group working on taxation reform is looking at how the country taxes savings. At the moment earnings from savings are taxed each year. This reduces the potential amount left in savings - and the compound earnings which can be made on these larger sums, along with making more of the savings available to invest. One proposal is to leave the savings untaxed until they are withdrawn. A 2014 Horizon Poll commissioned by the FSC shows KiwiSavers support removing the annual $521 members tax credit (MTC) to fund lower KiwiSaver fund tax rates. These proposed changes would mean someone on an average income, if they moved from a conservative to a balanced fund, could cut their KiwiSaver contributions over 40 years by $164,000 and reduce the impact of tax on their KiwiSaver earnings by $288,000. These are big gains, specially for younger New Zealanders for whom, the latest research shows, KiwiSaver is the source of retirement income they are most relying on. Many even doubt they will have the NZ Super pension when they retire. But if KiwiSaver remains voluntary large numbers of today's 18-34 year-olds will remain reliant on savings (which they don't expect to have, house price gains (which 40% don't expect to have) and a state pension. For years now, Horizon's polling has shown support for making reirement savings compulsory. Policy making is better informed if New Zealanders are asked for their views. But little is currently being planned by Government in relation to welfare system reforms, how Kiwis can agreed to action to manage climate change, or the sort of futures they want (to feed into Treasuryer's new Living Standards Framework, which will play a significant role in Budget-spending decisions from 2019 on).